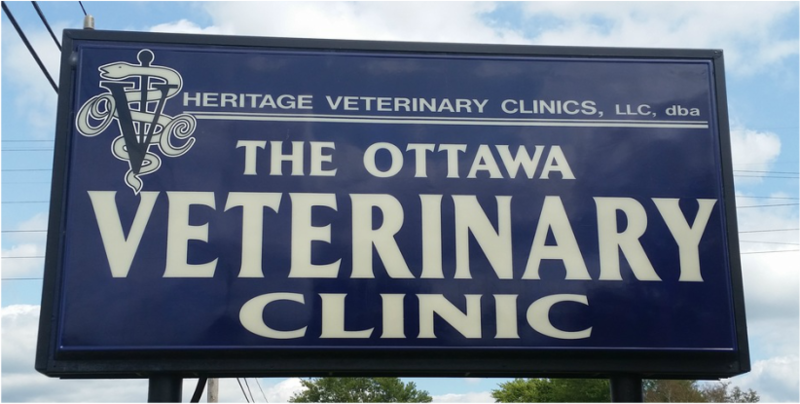 The Ottawa Veterinary clinic is one of the longest standing practices in the area. Founded more than 75yrs ago, on the principle of providing compassionate quality veterinary care, we have grown into one of the largest privately owned practices in the area. In 1997 we purchased the Bluffton Veterinary Clinic from Dr. Robert Benner , and in 2009, opened our new facility on state route 103 in Bluffton. The new facility allowed us to expand our services to include boarding and grooming, for the ultimate in one-stop pet care convenience. Also in 2009, our Doctors, along with several other practices in the Lima area, founded the West Central Ohio Veterinary Emergency Service, (WCOVES), at 3077 Harding Highway in Lima.This joint venture enabled us to raise the bar in emergency and critical patient care, and is the ONLY facility in the area that offers doctors and staff on-duty,on-site, to see emergencies and provide hospital care for ill and injured pets round-the-clock after traditional business hours.